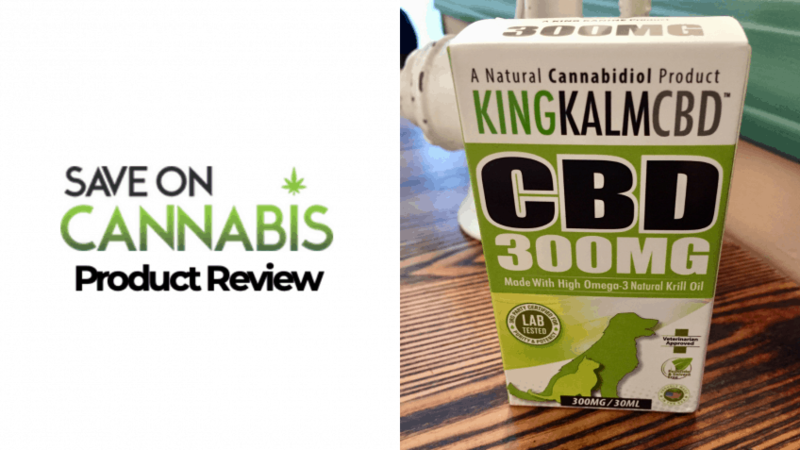 King Kanine’s mission is to provide our furry friends with high-quality and organic CBD products to help animals feel good on the inside and outside. People from around the world enjoy these pet-friendly, pharmacist formulated CBD products. Last year, King Kanine was awarded the Golden Paw Award from the Mayor’s Alliance for NYC Animals for its commitment to helping your pets.Not only do they provide award-winning products to help relieve your dog or cats anxiety and chapped paws, but they also raise funds and awareness for the American Society for the Prevention of Cruelty to Animals in order to protect pets that may not be with loving families.The company is dedicated to providing pet moms and dads with information through their website and social media platforms so you and your pup or kitty can live educated, happy, and healthy lives together. 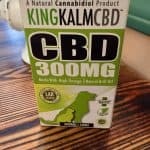 King Kanine’s CBD pet oil combines organic CBD with krill oil to help your dogs and cats feel better. Formulated by a legit pharmacist with decades of experience in the CBD world and third-party tested, this oil helps to reduce anxiety, chronic pain, and even seizures in your beloved dogs and cats. Everyday use will help boost your pets overall wellness and energy levels. 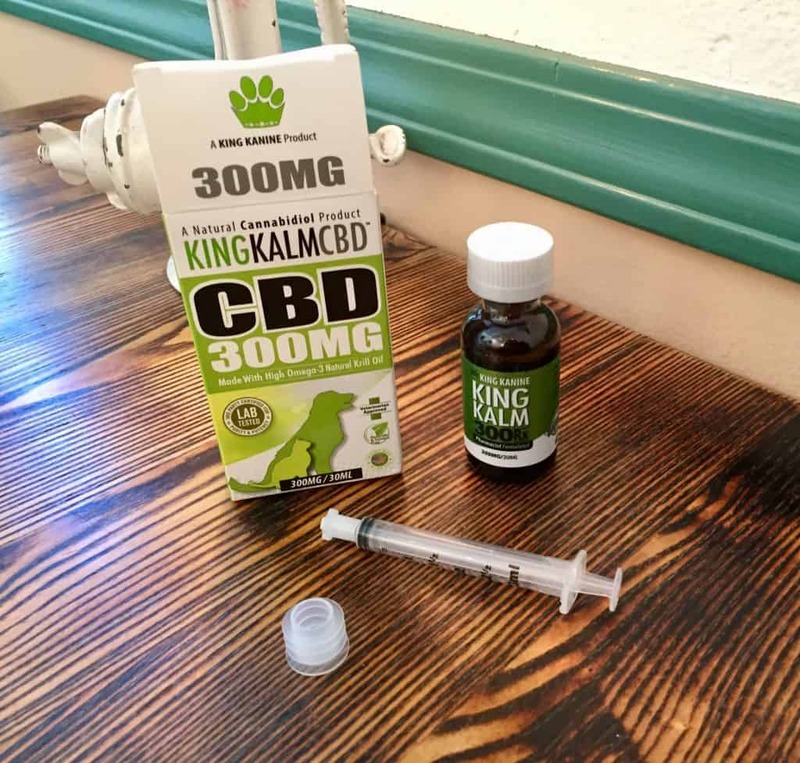 Whether or not you’re treating an aging pet with aches and inflammation or an anxious furry friend who poops in the closet every time you leave town, King Kalm CBD oil is an all-natural solution for what ails your dog or cat. Place the round syringe adapter into the neck of the bottle. Insert syringe and draw back with desired dose amount. Tilt pets head back, squeeze dose into the back of your pet’s mouth. Close bottle, clean syringe, and store for next use. My friend who travels for work has a dog that gets anxious and acts out whenever she goes out of town. Even though she leaves her canine companion with a loving and capable dog-sitter, my friend has come to expect to come home to reports of defecation on the kitchen floor. 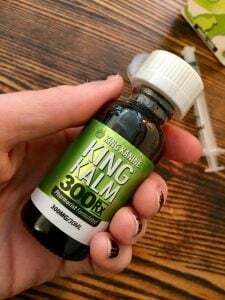 A week before her next trip, I gave her my bottle of King Kalm CBD Oil to test out. She used it once a day for the week leading up to her trip, then instructed her pet sitter to do the same for every day she was gone. She read the description on the website and was reassured that this stuff is veterinarian approved. Our hope was to decrease the animal’s separation anxiety to cut down on the whining and inappropriate poops. 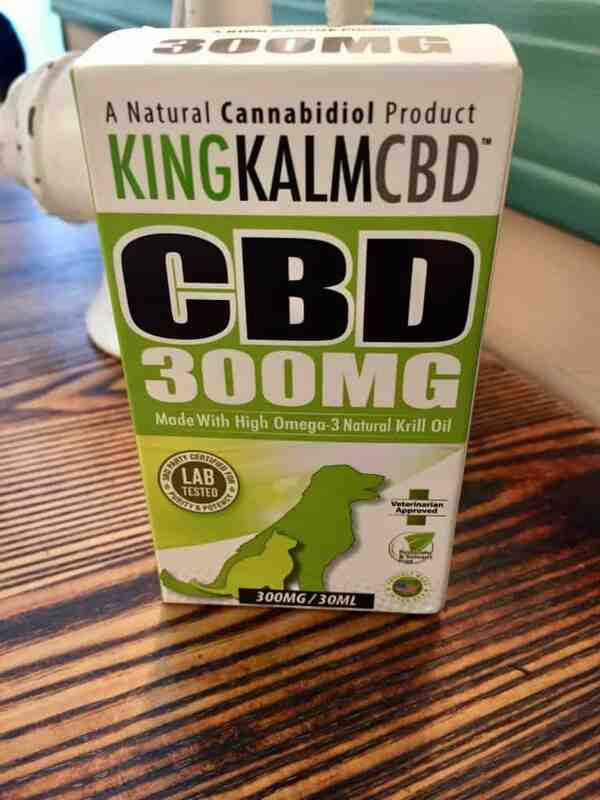 When my friend got back from her trip, she gave me the skinny on how the King Kalm CBD Oil for Pets worked for her dog. Apparently, it worked like gangbusters! When she returned, the pet sitter reported that there were no kitchen accidents and while the dog’s energy level and desire to play constantly remained unabated, she noticed the level of separation anxiety wasn’t as bad as it usually is. Under normal circumstances, the dog would spend an exorbitant amount of time whining at the window after her mom leaves, but this time, pretty much as soon as she had been whisked away in her Lyft, the dog was wagging his tail and jumping around with the sitter, ready for fun. There is nothing more heartbreaking than when your pet is sad and she was thrilled her dog didn’t suffer as much as usual. She thanked me profusely for giving her the oil, especially since CBD oil is generally out of her budget. She is using the oil every day and her animal ally has never been happier. Gradings from 0-100 on our review. Decreases your pets pain and anxiety. It’s easy to trick your pet into taking it. 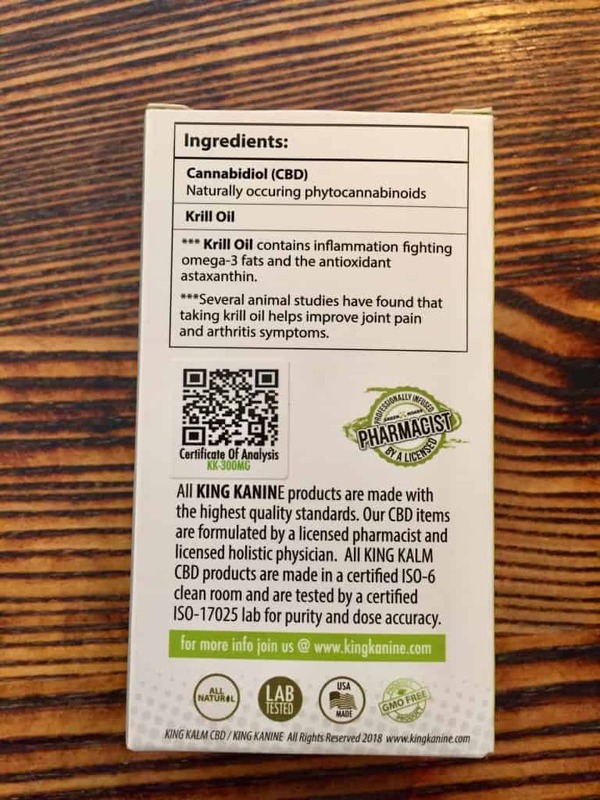 King Kanine’s King Kalm CBD Oil for Pets stands apart from the competition because of its use of Krill Oil, which contains the antioxidant astaxanthin. While astaxanthin sounds like the name of an alien from a Science Fiction novel Octavia Butler wrote, it is, in fact, an antioxidant found in sea creatures like Pacific salmon, shrimp, trout, microalgae, and many others. (Vegetarian pet owners, take note.) Some studies claim this ingredient helps fight cancer, improves skin and heart health, and has had positive results with male fertility. I wonder if my uncle’s male dog has been taking this because the female dog just had nine puppies! Save money on all CBD Pet Products here at Save On Cannabis the World’s largest online cannabis coupon code directory.